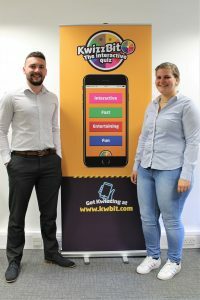 KwizzBit, a web-based gaming platform, has appointed two new members of staff to accommodate business growth and development. The Leeds start-up combines the traditional format of pub quiz entertainment with the excitement of interactive digital media. The appointments come after a series of account wins including one of the UK’s largest operators of bars and restaurants, Mitchells and Butler, and British pub company, Stonegate pubs. 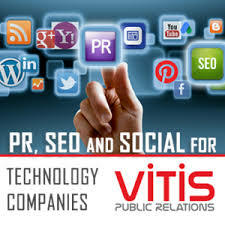 Chris Hart, who joins as sales and marketing manager, will be responsible for a number of key accounts, driving company growth and maintaining existing client relationships. Prior to undertaking his role at KwizzBit, Chris held a number of senior roles in the promotions and events management industry. Angelika Wehnert also recently joined the business as an administrative assistant, whilst studying for a Bachelor’s degree in International Information Management at the University of Hildesheim, Germany. Angelika has a background in gamification and corporate team building and has been key in providing significant links for KwizzBit in entering the German technology market. Managing director, Mark Walsh founded KwizzBit in partnership with pub quiz guru Steve Saul and technology expert John Sheard in 2016. The three successful entrepreneurs, with more than 60 combined years’ experience in the pub industry, aim to revive the Great British pub industry and eventually take a variety of other sectors by storm. Angelika commented: “I felt a position with KwizzBit would really compliment the modules I am studying for my degree and working within a new cultural environment has been significant in strengthening my language skills. My role is vast, allowing me to improve upon existing skills and build upon my experiences of working within the technology industry. KwizzBit has plans to grow the team by 100% over the next twelve months, hiring an additional six members of staff.